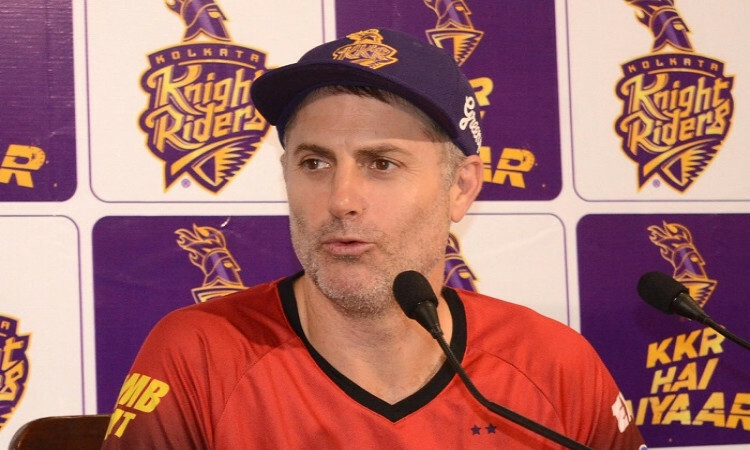 Kolkata, April 14 (CRICKETNMORE) Kolkata Knight Riders (KKR) have players who can take the pressure off Andre Russell, doubtful for Sunday's crunch Indian Premier League game against Chennai Super Kings (CSK), assistant coach Simon Katich has said. Russell's injuries have aggravated. He sustained wrist injury in Chennai, and bruised his legs while playing a waist-high full-toss in Kolkata against Delhi Capitals. He never looked at ease during his 21-ball 45 against Delhi Capitals on Friday. "He got through the game pretty well last night. But the full-toss that he inside-edged gave him bruises," Katich said at the eve of their return fixture against Chennai on Sunday. "He has been in magnificent form and has won a couple of games single-handedly. We've got a number of guys who can step in and take the pressure off him," he said. Russell has been KKR's go-to man this season with six consecutive 40-plus scores. On the reportedly poor umpiring in the tournament, he said, "I don't want to get into trouble. I will give a stock standard answer: It's a tough job," the former Australia opener said referring to Shikhar Dhawan's reprieve while Delhi were chasing 179. Dhawan was batting on 11 when a contentious review went in his favour. The India opener went to win the game for Delhi with a belligerent 97. Talking of MS Dhoni, Katich said they are keen to see what the shrewd tactician up his sleeve. Dhoni used his spin force to perfection to restrict KKR to a paltry 108/9 to cruise to a seven-wicket win in Chennai. "He is so well prepared. He's clever in the way he uses his bowlers, his field positions," he said. On Chennai match, Katich said we were completely outplayed. We didn't adapt to the conditions there, he said and added the team thought it was a 180-wicket and it took us probably four overs to realise that and the game was almost lost. On Dhoni's shrewdness, Katich said his ploy to drop in-form Harbhajan Singh in favour of leftarm spinner Mitchell Santner who did well with the ball and hit a six off the last ball to seal the win, was a case in point. "He did not play his inform bowler Harbhajan because they (RR) had five right handers in top order. He brought in Santner who did a good job for them. He's clever in the way he goes about it and we probably need to take a leaf out of that book," Katich said.